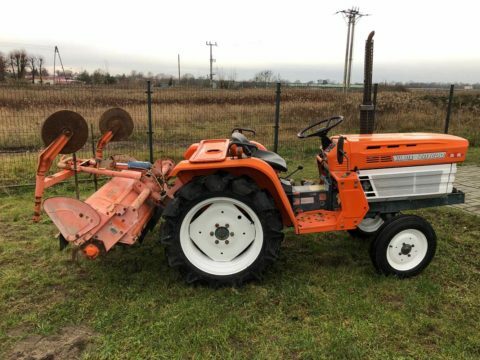 Compact tractor with 22 HP engine and 17 HP PTO and 4WD. 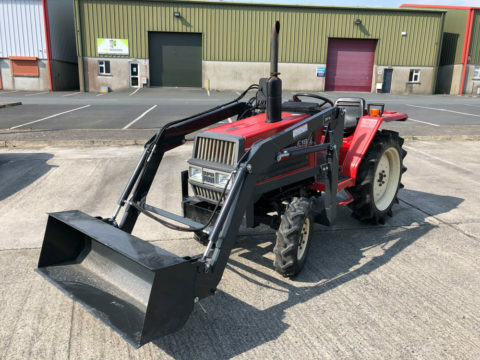 Has used rotavator in good condition and brand new front loader. 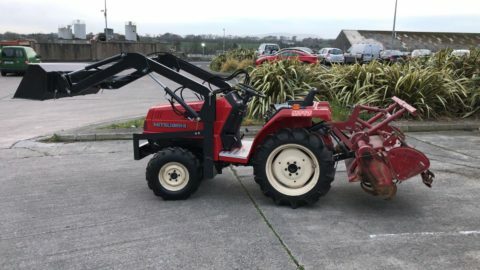 Original paint and 4 new tyres. 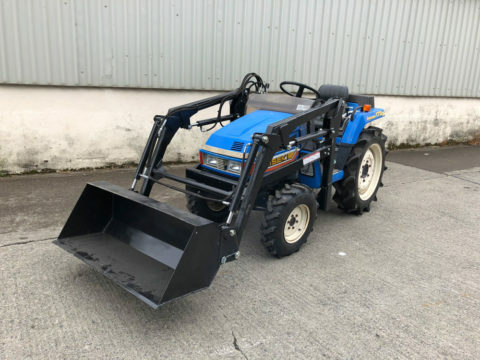 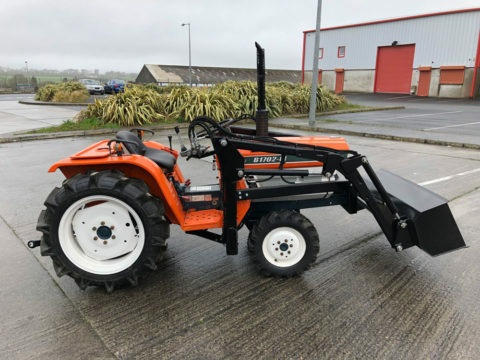 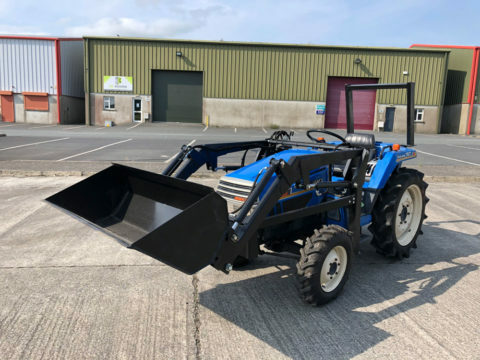 Kubota compact tractor with 2WD and 16 HP engine. 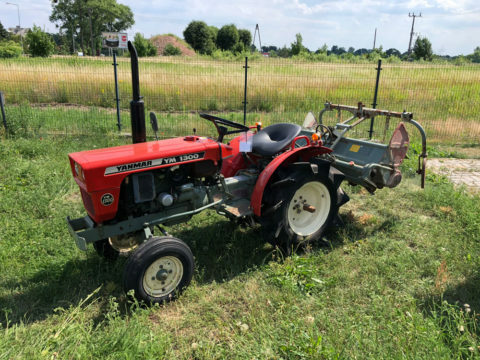 Equipped with a rotary tiller. 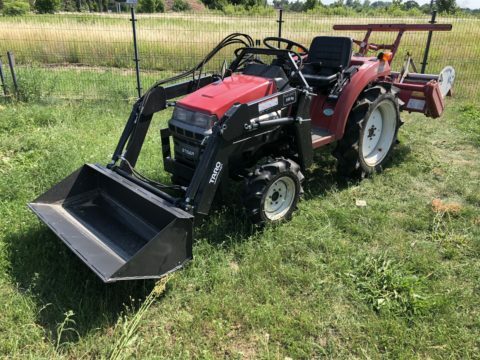 Solid 22HP engine and 17HP PTO, 4WD tractor with brand new front loader. 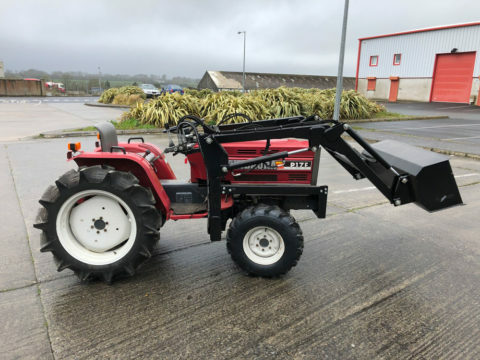 Entirely repainted and equipped with 4 new tyres.